Lead from the Front. Excellence Always. Army Reserve Officers’ Training Corps (ROTC) can add an important dimension to your education by preparing you to handle the varied demands and heavy competition of life-after graduation. ROTC trains you to lead. You can take Army ROTC along with your other courses and attend classes a few hours a week. Through these weekly classes, you’ll gain executive skills and leadership abilities that will give you an edge over other graduates. Enroll in the program as a college freshman, and you’ll get a good head start on this training, which will benefit you all your life. As an Army ROTC Cadet, you’ll receive money while still in college if you meet certain eligibility requirements. You’ll have plenty of opportunities to practice leadership skills learned in the classroom and to reinforce your self-confidence. Orienteering, leadership reaction courses and field training exercises are a few of the many activities in which you can discover your hidden strengths and develop them to the fullest. 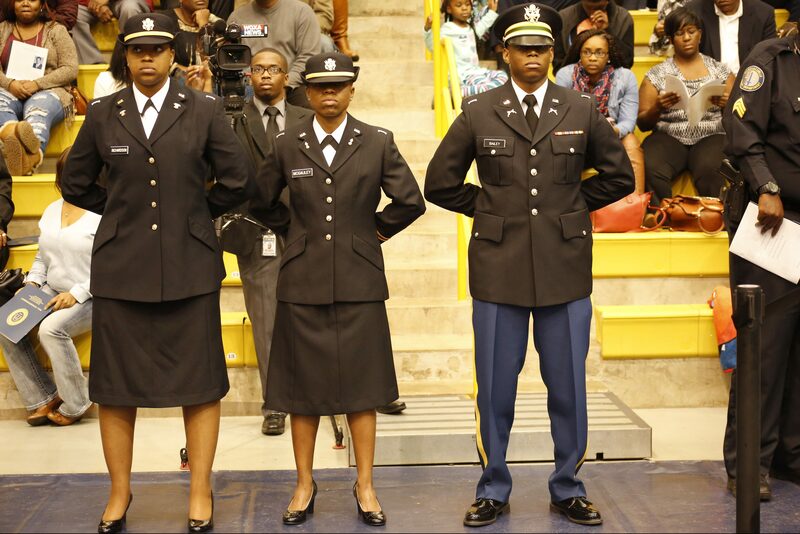 Upon graduation, you’ll be commissioned as a Second Lieutenant in the U.S. Army, and serve in the Active Army, Army National Guard, or Army Reserves. No matter what career you pursue later on– business, nursing, law, engineering, you name it– your experience in college Army ROTC will prove a valuable asset. Employers look for men and women with the ability to think clearly, solve problems as they arise, and lead others in making businesses more productive. These and many other management skills are basic to ROTC training. Leadership training…extra cash for college…lifetime skills…camaraderie…the chance to travel…the attributes and professional values of officership…these benefits and more are all part of why you should consider enrolling in Army ROTC, the smartest college course you can take.